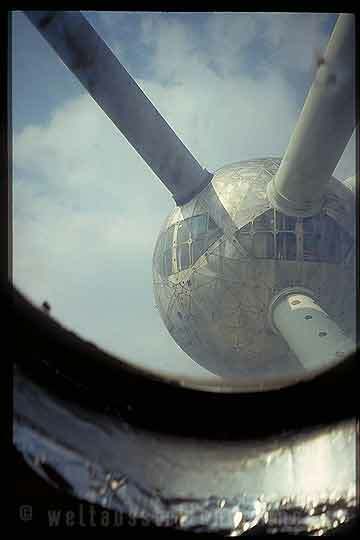 Inside the Atomium, build for the world exposition of 1958 in Brussels. Own Photograph from 1996. Instead of careful control of the content I am not liable for the content of external links. For the content of the linked pages their authors are exclusivly responsible. The copyright for the text and the images published in this website belongs to Dieter Knobloch. The multiplication of text, images and graphics needs my agreement.